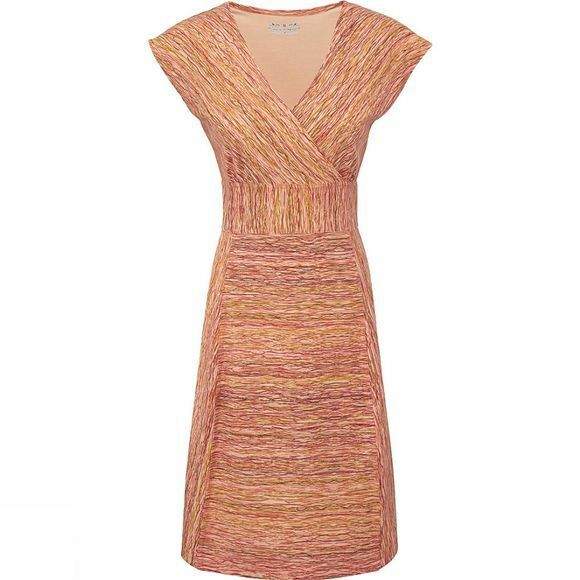 The Women's Essential Rio Dress combines style, with a colorful print and flattering empire waist, with a comfortable and easy to wear stretch jersey fabric. Th knit jersey fabric includes UPF 50+ sun protection, wrinkle resistance and wicking properties that make it great for travel and working out. Royal Robbins' Performance Blend fabrics deliver what's needed to move in the outdoors and also work in environments that call for you to be well turned out. The Performance Blends are quick to dry, durable, lightweight, wrinkle resistant and provide sun protection.